We all need that little push sometimes — something to steer us in the direction of our goals. When it comes to practicing or learning music, there aren’t any shortcuts nor any proven easy ways to get started. Here is a chance to build and show the strength of your will power towards reaching your goal as a singer! Oh, you also get to win awesome prizes!! Try this simple challenge and win exciting prizes! 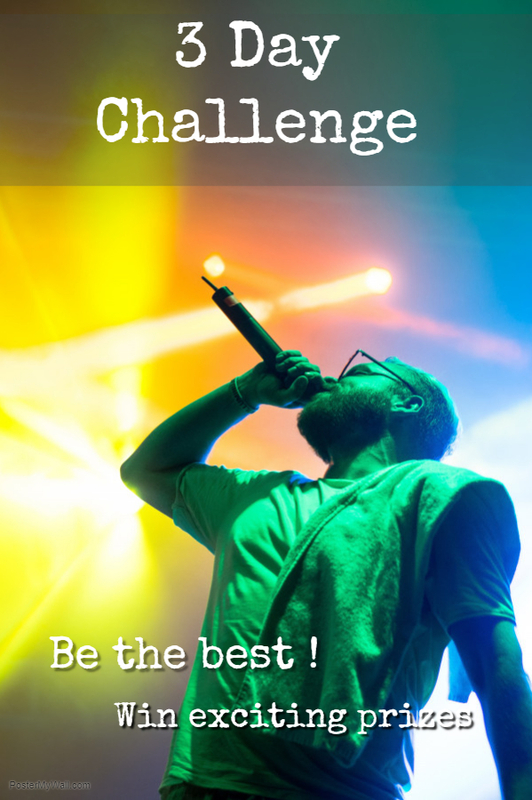 Once you complete this simple but effective challenge, you will walk away with a sense of accomplishment – a little boost of confidence goes a long way when it comes to learning singing! It’s a little pat on the back that reminds us of what we can do and how awesome we are. Top 3 Riyazers in the 3 Day Challenge will win Riyaz Premium Subscription worth Rs 500! How to make it to top 3? More time you practice → more XPs → better your chances of winning! To set yourself up for challenge, remember to follow the above steps, set yourself goals, and choose a good time that works for you to practice. Most importantly, make it fun to practice and sing! We believe as the expression goes, “One day or Day One, you decide!” Try this simple 3-day challenge and see how these 3-days can kick-start you into becoming a singing star soon.